In Kapiteln zu Madame Bovary, der Éducation sentimentale, den Trois Contes, Salammbô und "Quidquid volueris" beleuchtet Barbara Vinken das Verhältnis von Religion und Moderne, Orient und Okzident im Werk dieses paradigmatischen Autors. "By his national affiliation and choice of genre, French novelist Gustave Flaubert can be considered emblematic of modernity. This book showcases his specific and highly refined imaginary as at once unique and symptomatic of an era. In particular, it contributes to the controversial discussion of modernity's relation to religion. At a time when new religious fundamentalisms throughout the world are on the rise, this has only become a more pressing issue. Through this single acclaimed author, we realize that modernity can only be understood in terms of its critical rewriting of religious dogma. Strikingly, already in Flaubert, this rewriting emerges in conjunction with questions of the Orient and Orientalism. Flaubert's Orient is an Other that is always already within Western society. By highlighting the complexity of the relation between religion, modernity, and the Oriental, Barbara Vinken's discussion of these issues goes beyond simple binaries. 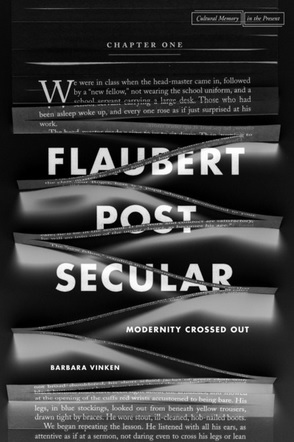 Her Flaubert Postsecular is a model of scholarly research with far-reaching political implications."